Have you sipped any fruit shrub cocktails at your favorite restaurant or trendy bar? If so, you’ll have to try your hand making a homemade Meyer lemon shrub drink recipe! It’s so easy to do and a great way to take advantage of those wonderful Meyer lemons you see in the store this time of year. 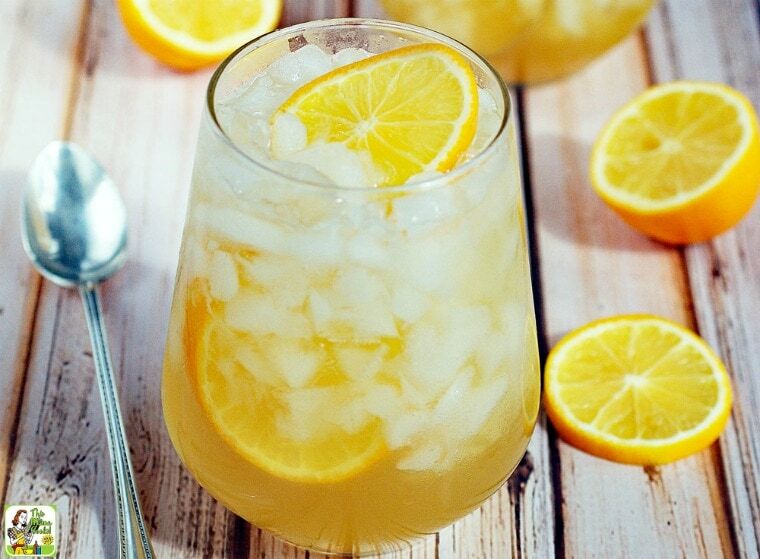 You can also make this fruit shrub drink with regular lemons. The name “shrub” comes from the Arabic word, “to drink.” Shrubs were very popular with people like Thomas Jefferson and Martha Washington, and are making a comeback. If you like the taste of fermented drinks like kombucha, you’ll love shrub cocktails and mocktails, too! I love shrubs because they combine sweet and tart flavors, so I wanted to start making them at home. While shrub mixers are available in finer liquor stores and online, they’re not cheap. 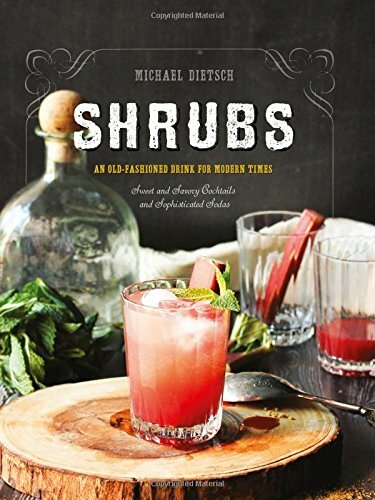 Instead, I purchased a copy of Michael Dietsch’s book, Shrubs: An Old Fashioned Drink for Modern Times and set out to make my own. Michael’s book is wonderful because it goes into the history of the shrub drink, and the different process of making cocktail shrub recipes. He also goes in depth with ingredients you can use such as the various types of fruits, vinegars, and sugars. 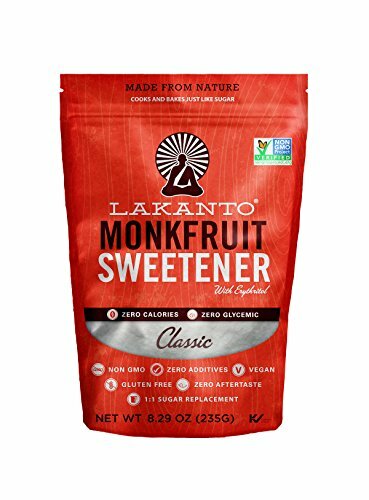 However, I was dismayed to find out that fruit shrub recipes contain so much sugar! 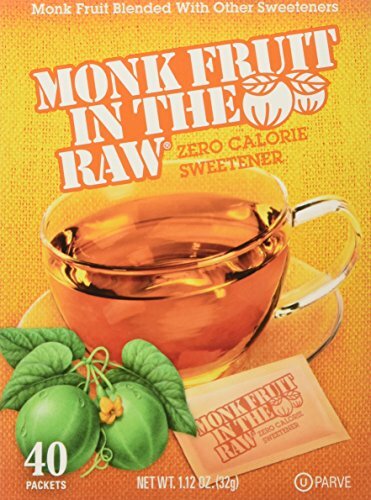 So I decided to experiment with monk fruit no calorie natural sweetener in my shrub recipes. I believe in indulging in a good cocktail or mocktail once in awhile. But I try to “health up” the ingredients whenever possible. 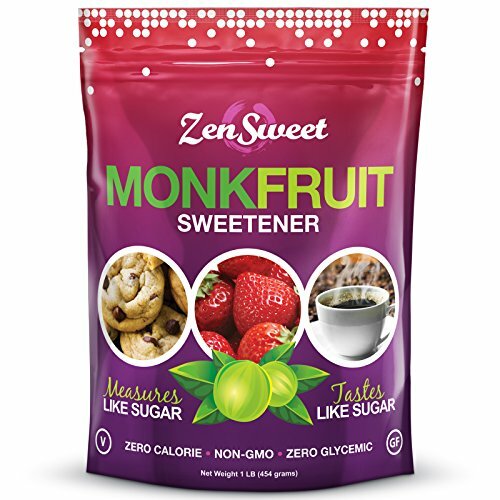 So why not substitute the sugar with a no calorie sweetener like monk fruit instead? Michael’s Shrubs: An Old Fashioned Drink for Modern Times book doesn’t have a lemon shrub recipe, but does have one for a grapefruit shrub. In his recipe, he mixes grapefruit peels with the sugar for an hour. 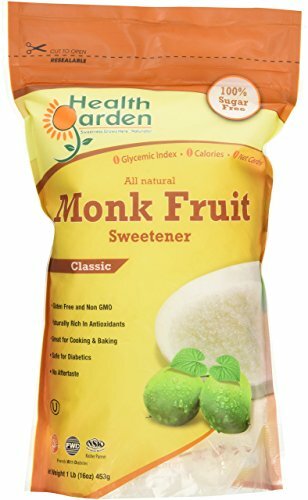 I couldn't see how that would flavor the sugar at all! So I tried a different method. I would zest the Meyer lemons instead of peeling them. Then I would soak the lemon zest for a week in the vinegar. I think it worked out superbly as I ended up with a bright yellow shrub mixer that had a tart but sweet lemony flavor. Meyer lemons are available during the winter and early spring, usually December through May. 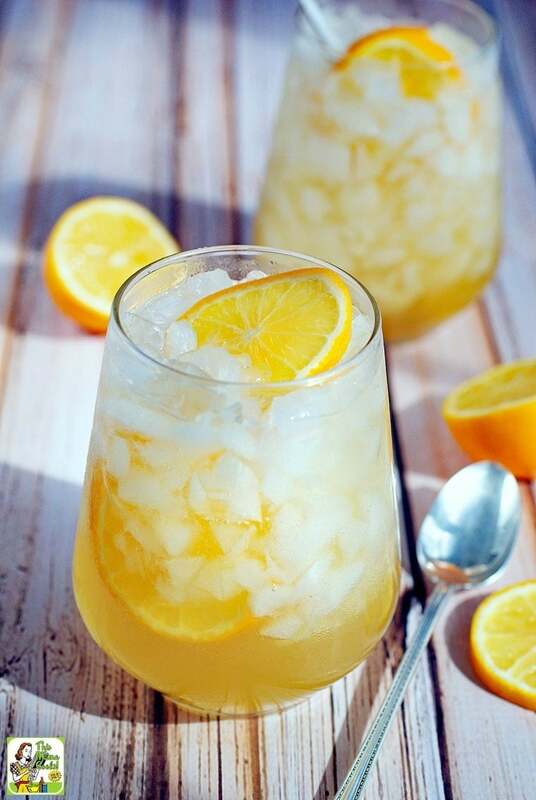 I like using Meyer lemons for this shrub drink recipe, since they’re sweeter than regular lemons. However, if you want to use regular lemons, use less zest and more monk fruit. To strain the zest from this Meyer lemon shrub drink recipe I used a paper coffee filter, which admittedly was a bit of a chore. 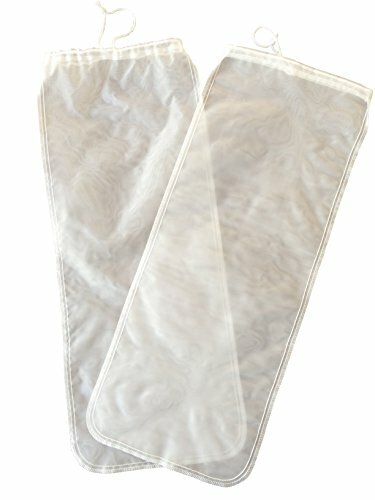 Next time I plan to use an ultra fine mesh filter such as a nut milk bag or a hop bag used in making homebrewed beer. 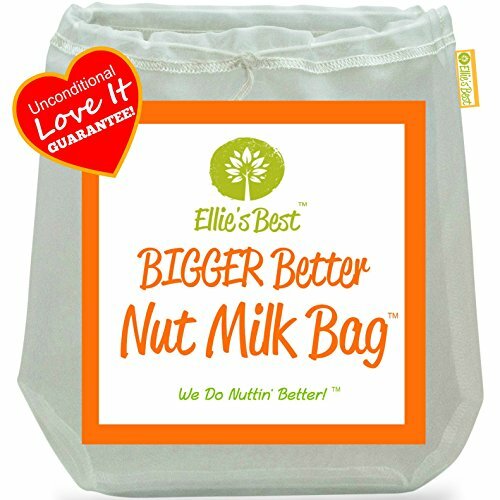 Pro Quality Nut Milk Bag - Big 12 White Fine Mesh Straining Bags with Sturdy Draw Strings. Pack of 2. 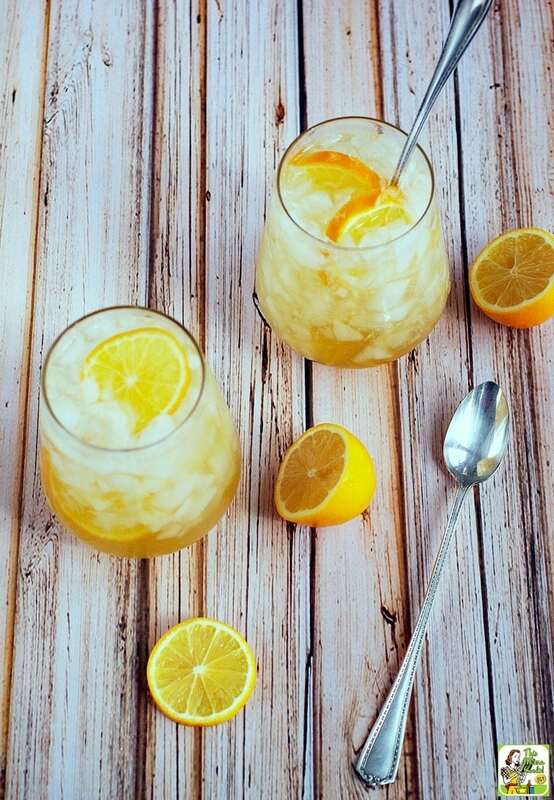 Make this Meyer Lemon Shrub Cocktail recipe! Making Meyer lemon shrub cocktails and mocktails are so much fun!. To get you started, here’s a Meyer Lemon Shrub Cocktail recipe I concocted. Fill a tall glass with crushed ice. Then add some Meyer lemon shrub drink, some vodka, and some Ole Smoky Peach Moonshine (to taste and personal preference). Top it off with plain seltzer. Stir and taste. Then add more Meyer Lemon Shrub Mixer, Ole Smoky Peach Moonshine, and/or seltzer if you wish. Serve with a slice of Meyer lemon as a garnish. Remember, this Meyer lemon shrub drink recipe is a STRONG mixer. So, it’s a matter of taste as to how much you’d want to use. I suggest trying a teeny bit with lots of ice, a bit of booze, and plenty of seltzer to start. You can always add more shrub mixer. Also, don’t let my lemon shrub cocktail recipe suggestion stop you from experimenting. Try different types of liquors such as vermouth, gin, rum, or tequila. 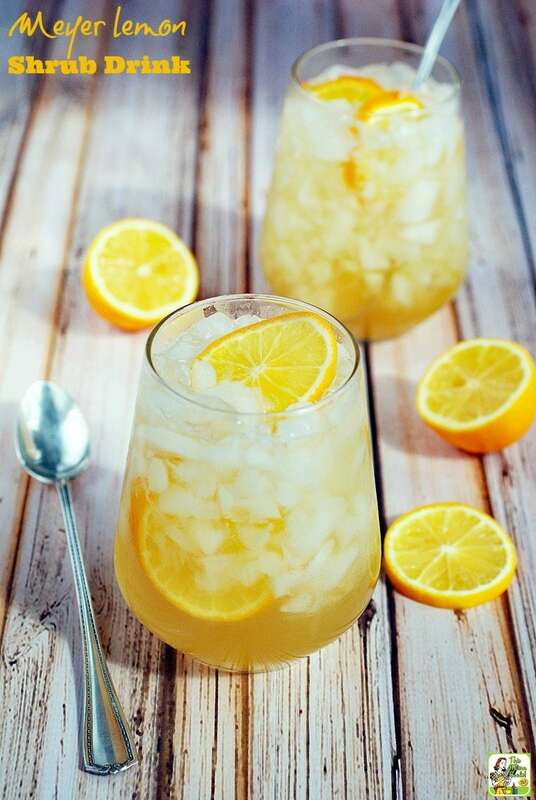 Mix the Meyer lemon shrub with various types of seltzers, sodas, fruit juices, and even unsweetened iced tea for mocktails, too. Have fun! Place zest, monk fruit, and apple cider in a clean canning jar. Place lid on jar and shake until monk fruit dissolves. Put jar in refrigerator for one week. Occasionally shake contents of jar. After the week is up, strain contents of jar using an ultra fine mesh filter such as a paper coffee filter. Discard solids. Originally published on April 9, 2015. Updated with new pictures and information. Posted in Boozing It Up!, Gluten Free, Recipes and tagged fruit on February 10, 2017 by Anne-Marie Nichols.